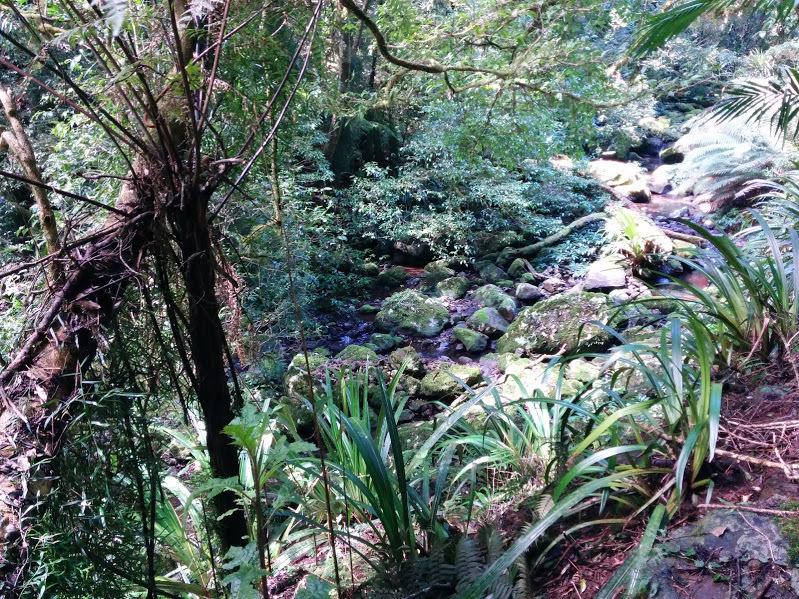 Would you love to walk down a rain forest path shaded by tree ferns and ancient antarctic beech trees? Follow a cascading mountain steam to uncover a myriad of unique waterfalls? Reach a lookout where you can see the forest meet the sea? If so, then the Tooloona Creek Circuit at O’Reilly’s Rainforest Retreat in the Lamington National Park, is the walk for you! Although our family has visited the Lamington National Park regularly over the past 20 years, we had never undertaken this particular walk. I had huffed and puffed my way around the 11km Box Tree Circuit, dragged myself achingly, slowly, one step at a time up the mountain from Stairway Falls and nearly had a snake induced heart attack at Python Rock, but I had baulked at the 18 kms Toolona Creek Circuit! It’s not that I’m against exercise per se, but the thought of climbing 1000 metres from Elabana Falls to the ridge line, with a further 9 kms to walk home seemed, well, a trifle excessive. But Kenn and I are off to the south island of New Zealand in December to walk the Queen Charlotte Track and I knew that some serious training was needed. So armed with my shiny, new walking boots, I tackled this walk accompanied by Kenn, my daughter, Lyndsay and her fiance Reece. 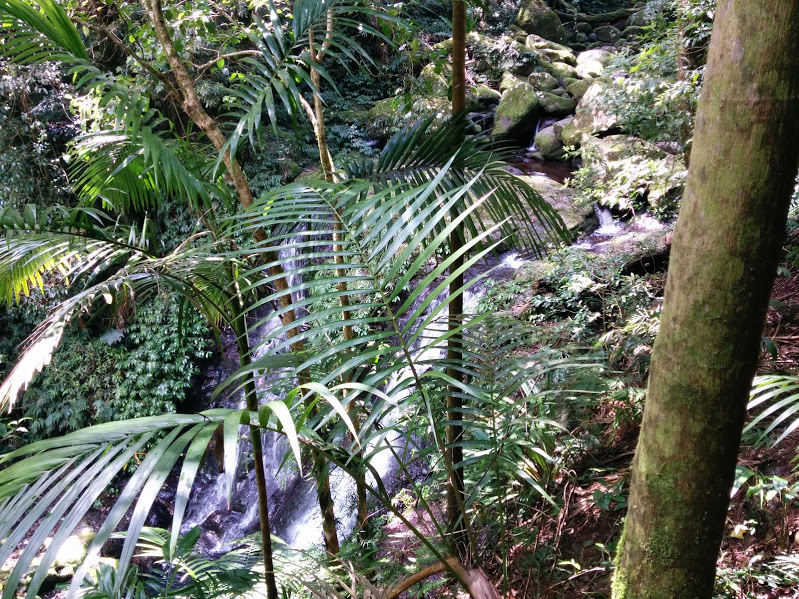 I’m great at walking down hills so the first six kms were easy, We cruised down to Elabana Falls passing beautiful stands of tree ferns and listening to birdsong. We stopped for morning tea at the aptly named Picnic rock and refreshed, were ready to tackle the Toolona Creek section of the walk. 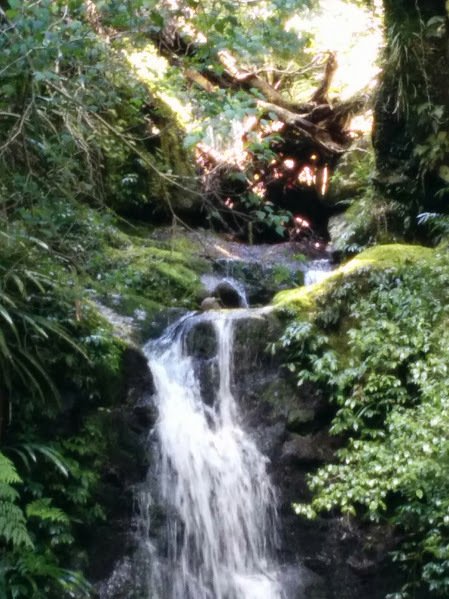 Initially, we followed the creek and were delighted by fern encrusted cascades of water rippling over mossy rocks. Then, a couple of creek crossings later, we started to climb. To my surprise, this was much easier than I thought it would be. The track was quite rocky and damp, so we had to be careful and go slow. This suited me perfectly. I certainly haven’t inherited any mountain goat genes! Around every second bend we encountered a new part of the creek cascading down a unique waterfall. Each one was different, each one was lovely! 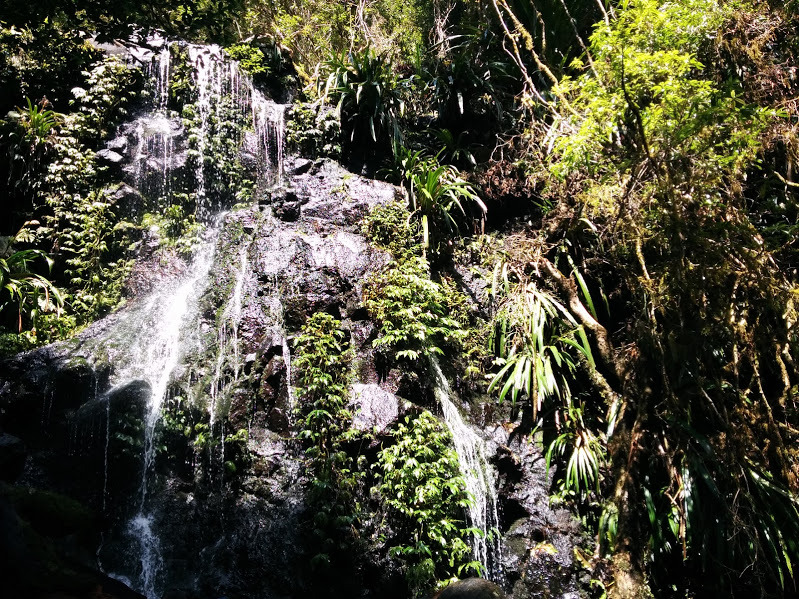 We counted 17 different waterfalls in total along this section ranging from cascades to the spectacular Toolona Falls. Like a veil, covering the rocks. Tooloona Falls. photo by me, reworked by google photos! Nice…I think. 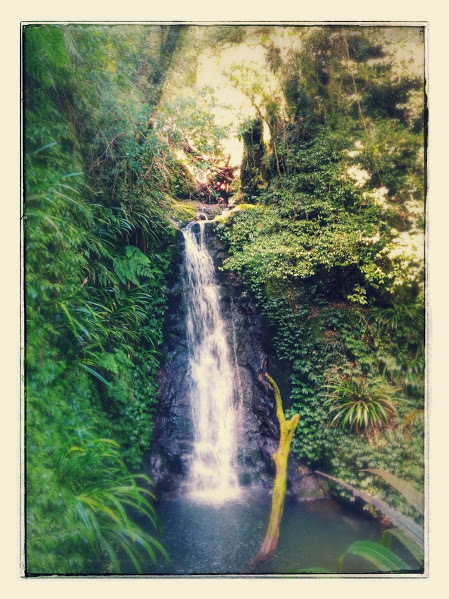 Not only were the waterfalls wonderful but the rain forest itself was spectacular. Along this section there were ferny tree gardens growing in the canopy. But all good things come to an end and before we knew it we were on the Border Track. 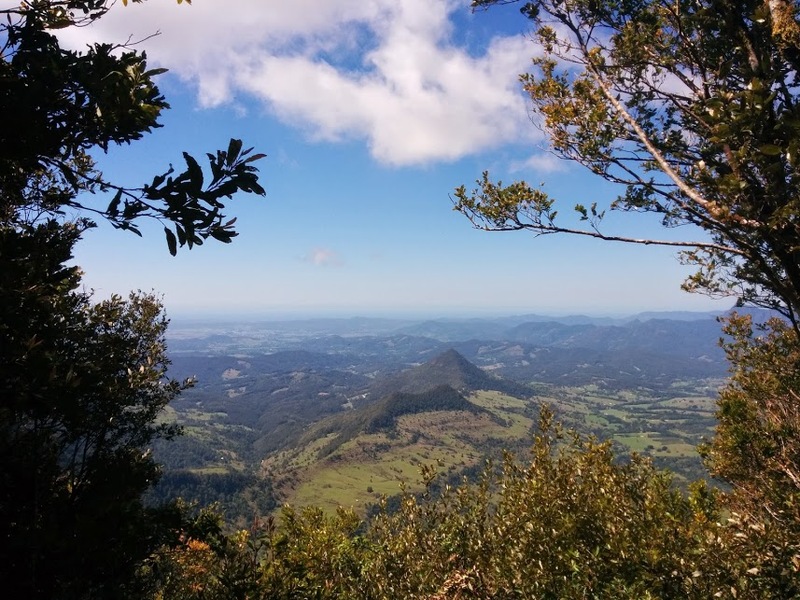 Near to the intersection of the Tooloona Creek and Border tracks, there is a wonderful lookout with a spectacular view, where we stopped for a well earned lunch. View from the Border track to Mount Warning and the Pacific Ocean. 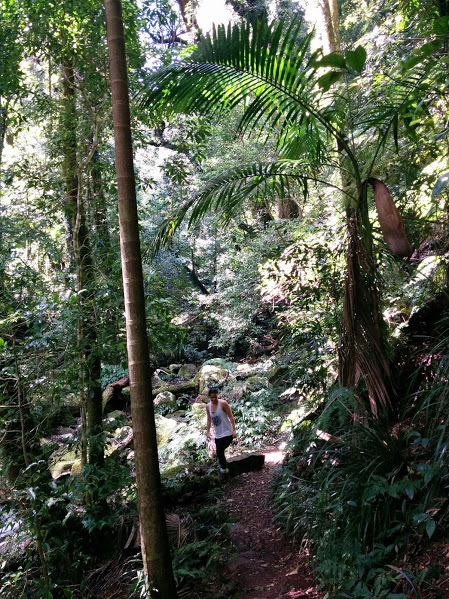 Although we still had to walk 9 kms to O’Reilly’s Rainforest Retreat, this was quite easy as it was mainly downhill. About halfway home, we encountered the Antarctic Beeches. These are amazing trees, remnants of when Australia was part of Gondwana! This is a wonderful part of the rain forest, so dark and so deep. All too soon, we were back. 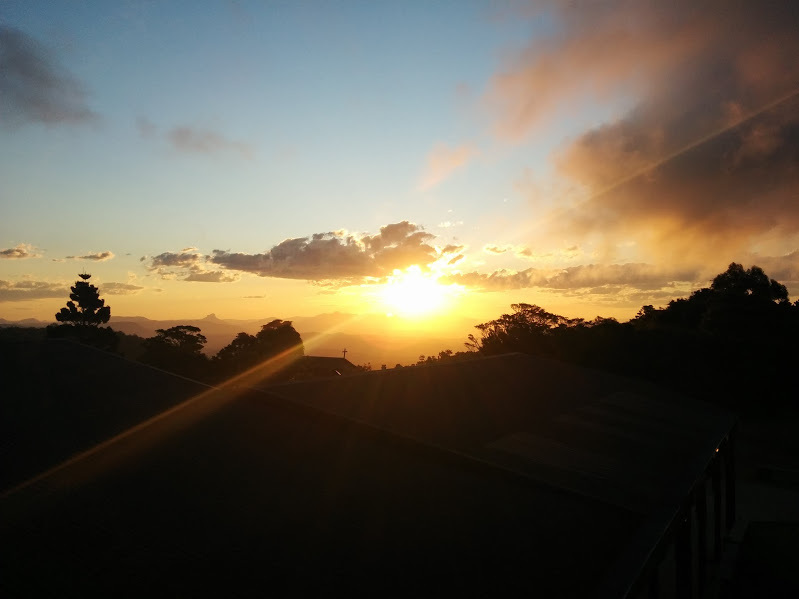 Ready to enjoy Happy Hour and watch the sun set over the ranges. 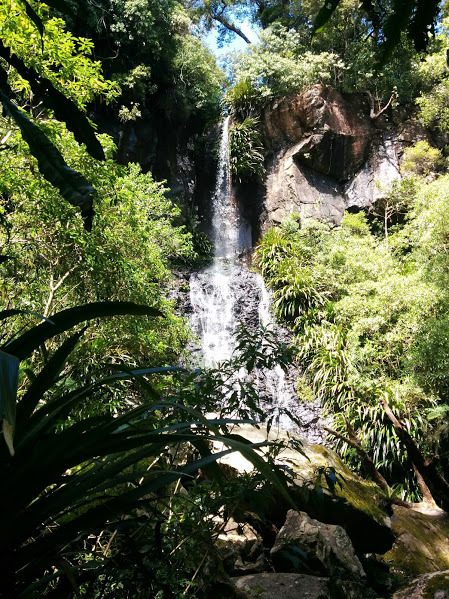 The Toolona Creek circuit is located in the Lamington National Park in the Gold Coast Hinterland, about two and a half hours drive from Byron Bay. We stayed at O’Reilly’s Guest House in a Rainforest Villa which was a wonderful experience in itself. We didn’t have time luxuriate in the Lost World Spa, one of the many amenities at the resort, but next time it’s definitely on our list of things to do. Maybe you would like to join us some time? < Previous Lady Golfers Rule! The real fun will be writing my own report of the day, but now I want to go back…again. Le Sigh! It was so good. I want to try the spa and the horizon pool next time. Have to go back in summer or early autumn!